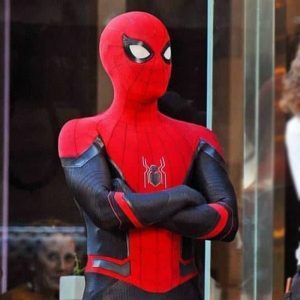 Whenever one sees red and blue color together, the only thought that comes in Spiderman. The fictional character, Spiderman was first introduced in American comic books that were published by Marvel Comics. Spiderman was born as a simple human being and was an orphan boy, raised by his aunt and uncle after the death of his parents in a deadly plane crash. He was a normal human being until he was bitten by a radioactive spider. After this, he got some supernatural powers as that of a real spider, like clinging to the walls, able to shoot spider webs to transport from one place to another and sensing dangers with his spider-sense. This character was introduced in the teenage comic book, but with little time covered heart shares of adult readers as well. Since then, Spiderman has been on media via comics, films, television, and video games. He has been the most followed superhero by young spectators and fans as well as adult onlookers and admirers. After getting these supernatural powers, Spidey is seen saving the world from the people with bad intentions and motives and fatal evils. For Spiderman too, the actor cast or character drawn in comics has always been a handsome hunk. His physique has always been a crush for females of all ages. Along with this, the world drooled over his awe-inspiring costume, the red and blue costume with a spider logo on the chest. It has spider web design engraved covering the whole costume. Keeping in view this remarkable character, Jackets Inn offers a brilliant, sleekest and slim fit Spiderman jacket, made with premium quality leather and soft inner lining, ensuring comfortable wear. With stand up collar and frim cuff style, the jacket has an exceptional feel when you wear it. Either you are young or an adult, the outclass Spiderman leather jacket will always look stunning over you. The remarkable jacket is available in all sizes, providing a chance to every person to feel like the exotic Spidey after wearing the outfit.